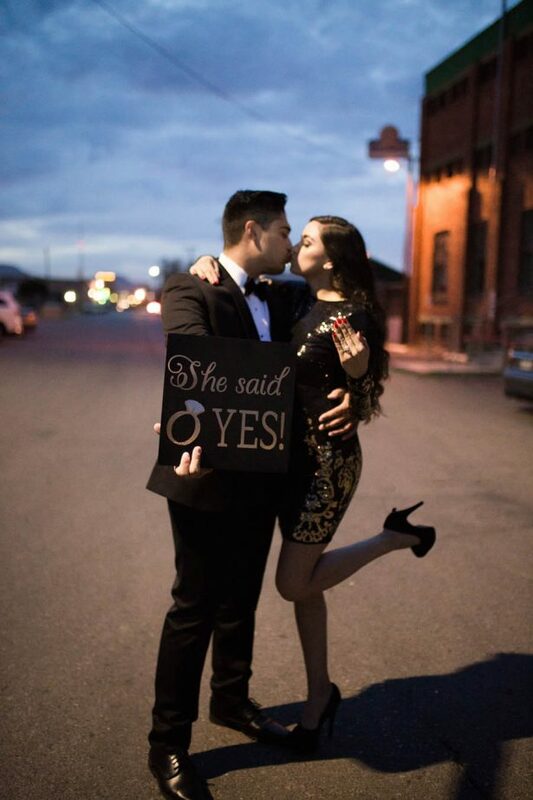 Did you love the props from the New Year’s Eve Proposal Shot we shared this morning? 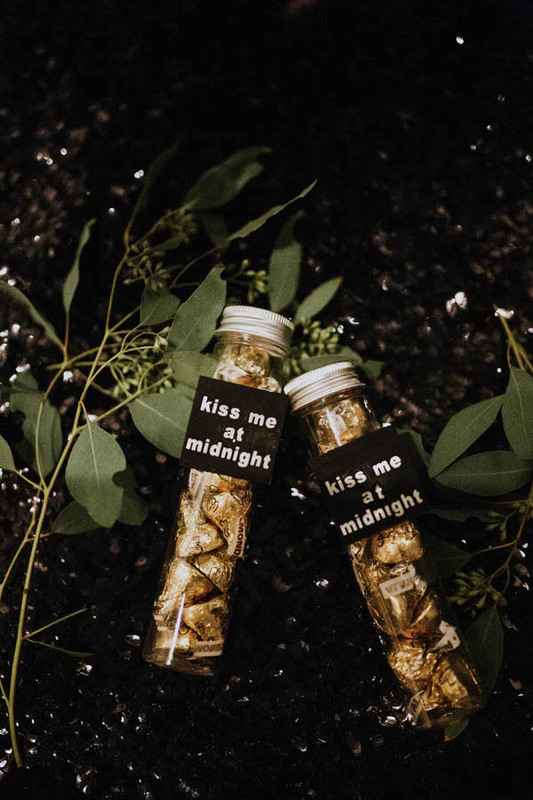 Well, they are pretty easy to make for your own new year’s eve party or proposal session. 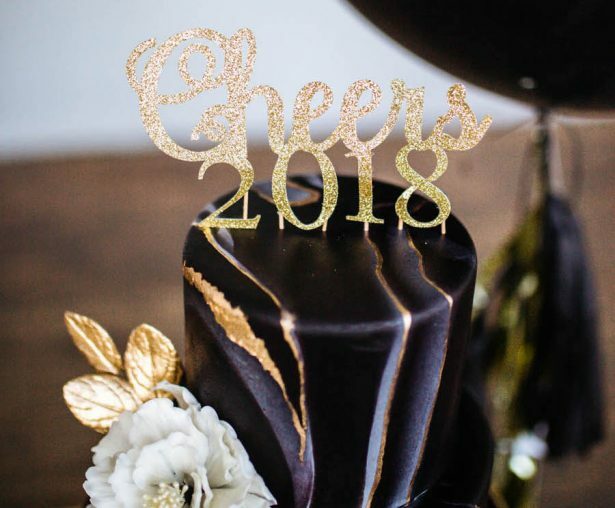 And if you haven’t seen this fun little project we did in collaboration with the crafting gurus from Cricut and some of my favorite wedding pros, I seriously recommend you to click here and enjoy more of our New Year’s Eve Proposal Inspiration With A Big Dash Of Festive Glamour — prepare to be blown away by these pics by Sparrow and Gold. 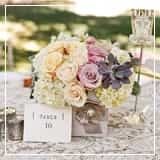 You will find lots of modern and sophisticated details mixed up with sparkly personalized elements we created with our amazing Cricut Maker. 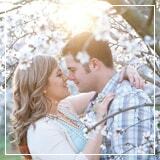 This shoot is seriously beyond-beautiful! 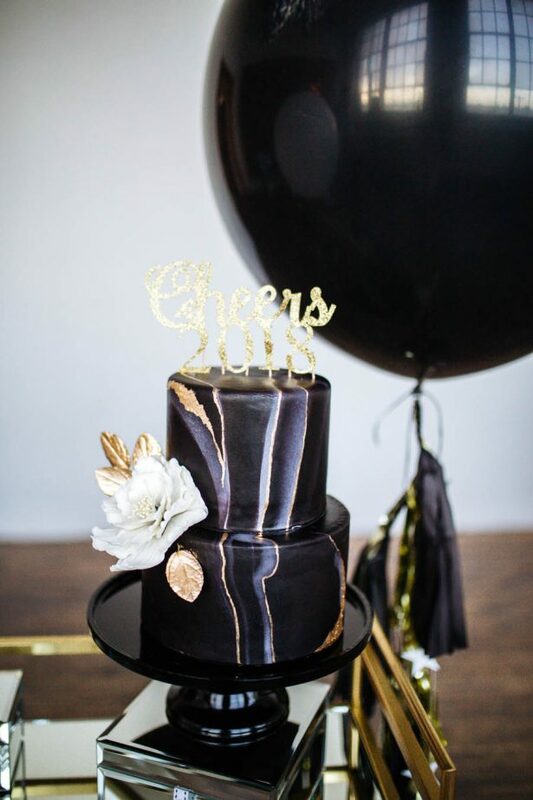 How fun is this sparkly cake topper we cut with the Cricut Maker?! 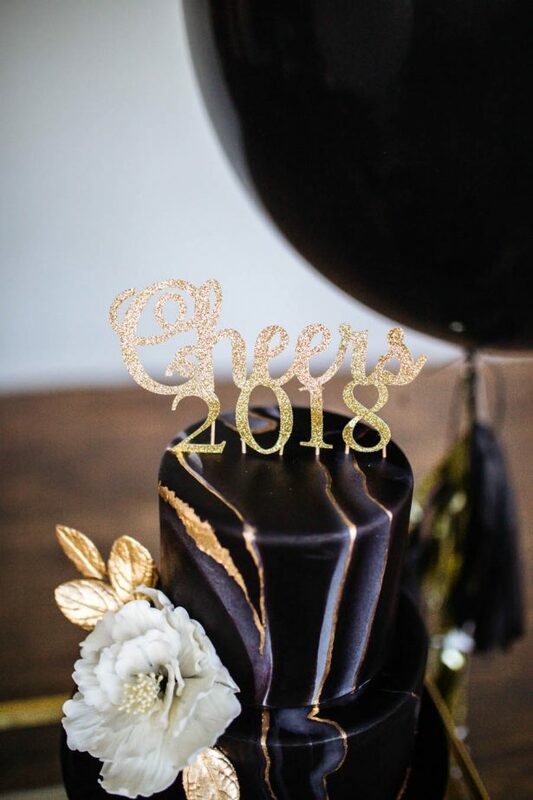 We created this “Cheers 2018” design and use gold glitter cardstock! But you can create your own by using the font on design space. I use “Elizabeth” for the “Cheers” part and then “Al Tarikh” for the numbers. Both fonts are available with the Cricut Access subscription alongside many other projects and graphics to take your crafting to the next level. 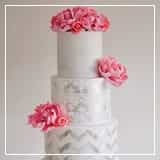 You can glue toothpicks or any other kind of small wood stick to the back of the cake topper in order to make it more stable and insert it into your cake. 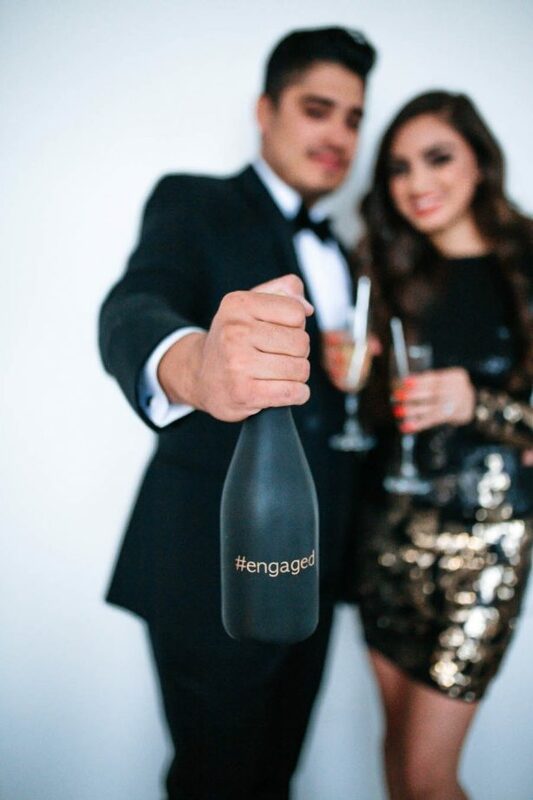 You might be looking for a fun way to announce the news to friends and family. 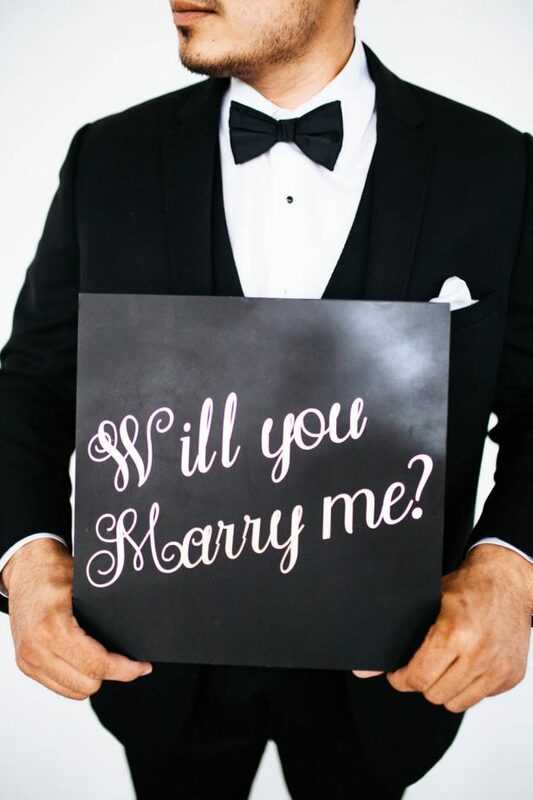 How about using our printable “Will You Marry Me” and “She Said Yes Signs” signs? You can use literally any surface you have available. I use square shape chalkboards (12 x 12) and applied the gold and silver vinyl adhesive foil cut I did with my Cricut. Get the designs here and here. And remember that you can use any other color of vinyl or add a cute graphic to infuse your personality. 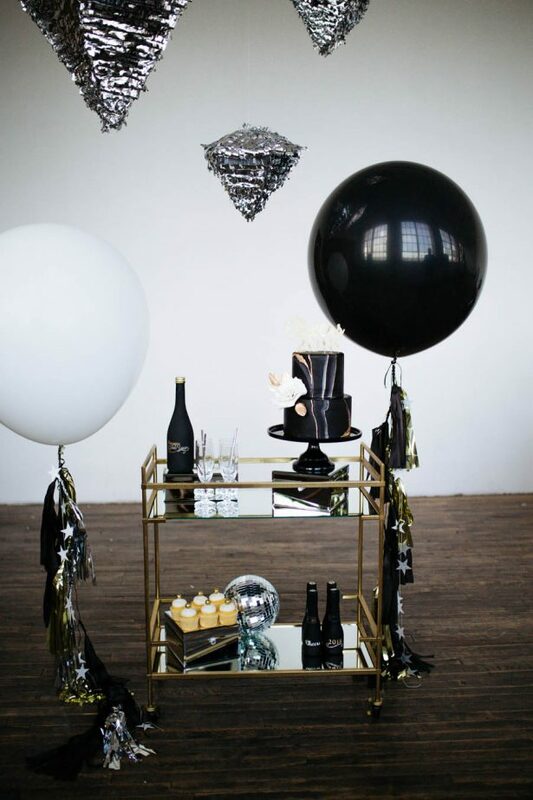 We love these Freixenet black bottles and mini-bottles of champagne for a NYE celebration. 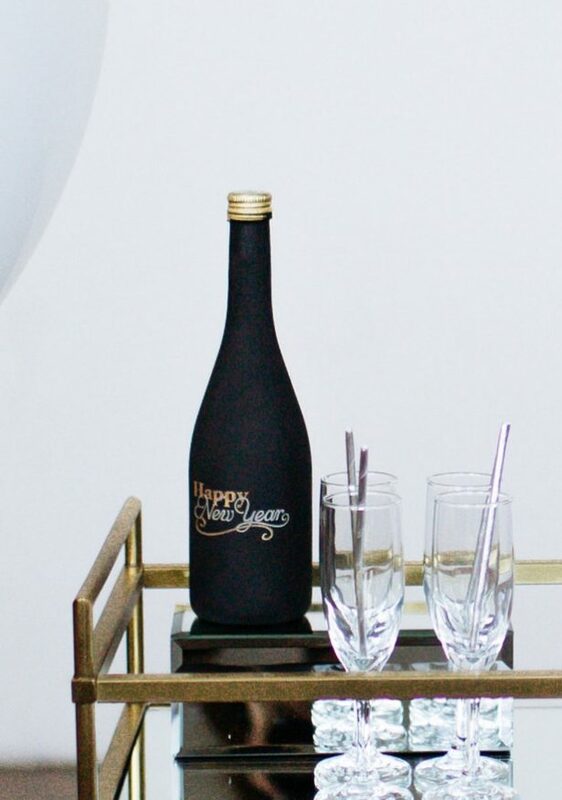 For these, we took off the labels and added the “Happy New Year Graphic” graphic (available with Cricut Access) in gold and silver vinyl adhesive foil to the big bottle and on the opposite site I applied a “#engaged” vinyl cut with transfer tape. 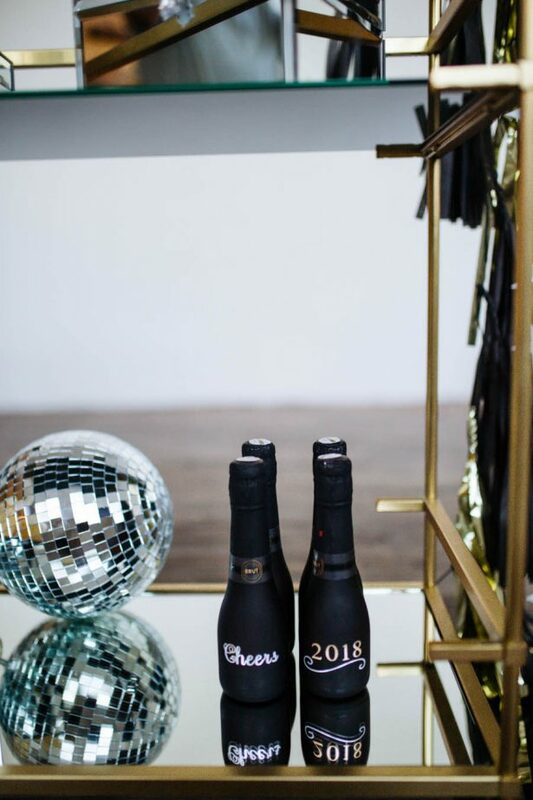 For the little bottles, I added the “Cheers” and 2018 signs — you can make dozens of vinyl cuts in minutes with the new Cricut Maker. 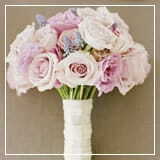 These would make a perfect party or wedding favor for your guests to take home! 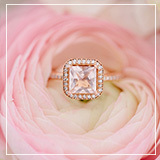 You could also use this concept but personalize them with the bride + groom’s name, date…you name it! 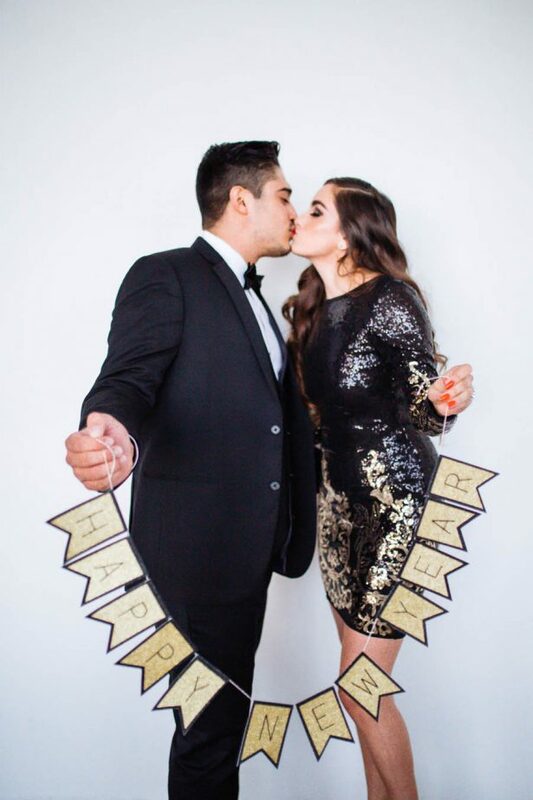 We love making this New Years Banner that is a ready-to-make-project in Cricut Design Space available with your Cricut Access membership. I am telling you the Cricut Access is totally worth it. 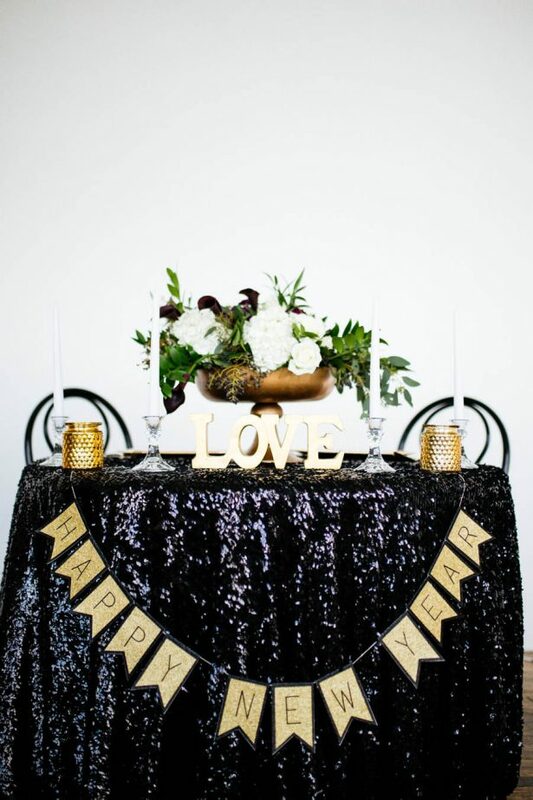 This banner would be fabulous for a photo backdrop or just to add a festive touch to any party space! 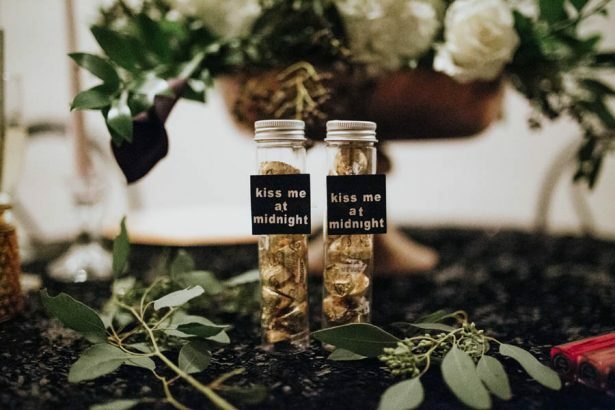 Inspired by the old tradition of kissing your loved one at midnight, we offer in our shop, I decided to create some party favors. With the Cricut Maker, I created the small party favor tags in seconds and I applied them to clear tubes filled with gold kisses. 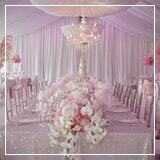 Pretty, right?! Love all these DIY details as much as we do? 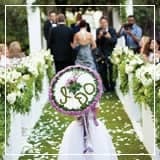 Get yourself a Cricut Maker today and start personalizing your wedding day and all the celebrations around it. I also recommend getting Cricut Access ( it’s amazing! 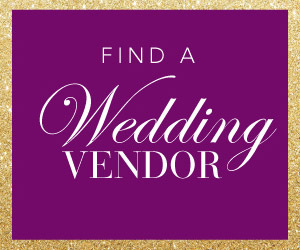 ), It offers an incredible selection of fonts, graphics and ready to make projects to take your creativity to a whole new level, while you make your wedding as unique as you are. As you can see, the possibilities are simply endless with the Cricut Access and Cricut Maker! If you’ve been dreaming of getting this machine and crafting to your heart’s desire, it’s time! 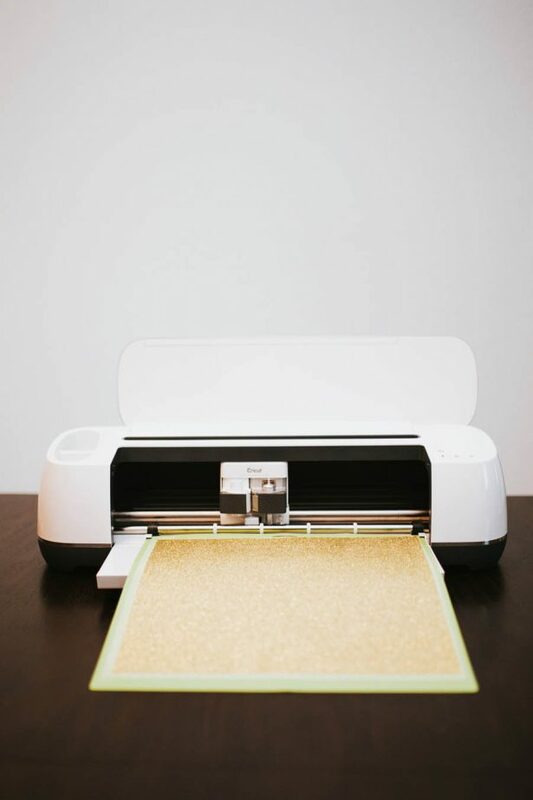 Below you will find an entry form to win your very own Cricut Maker.